Dating back to the 13th century, Hever Castle was once the childhood home of Anne Boleyn, second wife of Henry VIII and Mother of Elizabeth I. It formed the unlikely backdrop to a sequence of tumultuous events that changed the course of Britain’s history, monarchy and religion. Its panelled rooms house fine furniture, tapestries, antiques and what is regarded as ‘one of the best collections of Tudor portraits after the National Portrait Gallery’ by David Starkey. The Book of Hours Room beautifully illuminates two prayer books which belonged to Anne Boleyn and bear her inscriptions and signature. Today, much of what you see is the result of the remarkable efforts of William Waldorf Astor, who used his fortune to restore and extend the Castle in the early 20th century. The Astor Suite is dedicated to its more recent history, showcasing pictures and memorabilia relating to the Astor family and the Edwardian period. Hever Castle is what every child wants a castle to be: crenellated, moated and haunted. The new permanent exhibition in the Long Gallery depicts the saga from the Wars of the Roses to the Reformation through its art collection. When visiting the Castle we recommend you allow at least an hour to enjoy it. View opening times for final entry and final exit. 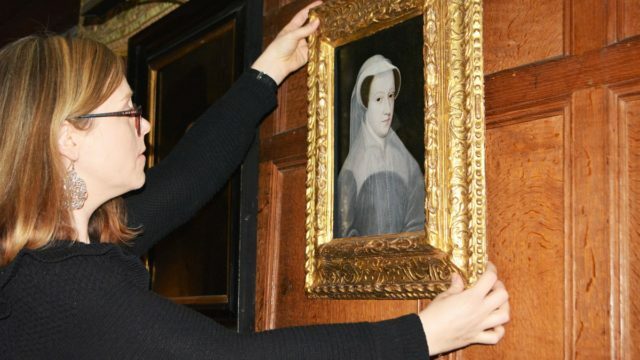 [The portrait collection at Hever Castle is the] "greatest privately owned public collection that tells the story of the Tudors." Beautiful place and well worth a visit! Well worth the money. Always wanted to visit and picked a glorious day to do so. A brilliant place for a family day out. 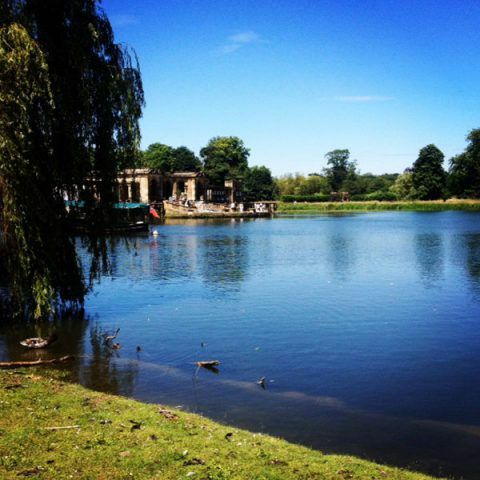 Hever Castle and grounds make a perfect setting for an away day whether alone, with friends or family. I had only picked up on Hever Castle's Tudor history, however, the modern history is just as fascinating. 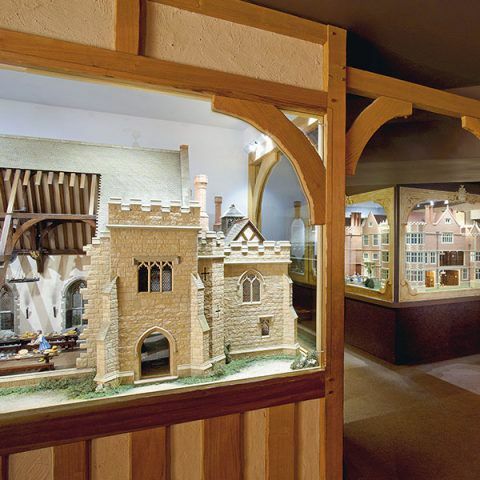 Ann Boleyn's family home, this is a very beautiful castle in miniature. The castle has some amazing artefacts, including the letter Ann sent to Henry whilst she was in the Tower awaiting execution. Some of the rooms appear to still be in use today. The grounds are very lovely, with a water maze and a real maze. The original medieval defensive castle with its gatehouse and walled bailey was built in 1270. In the 15th and 16th centuries the Bolyens added the Tudor dwelling within the walls. The Castle was then owned by a number of families before William Waldorf Astor invested time, money and imagination in restoring the Castle, building the ’Tudor Village’ and creating the gardens and lake. 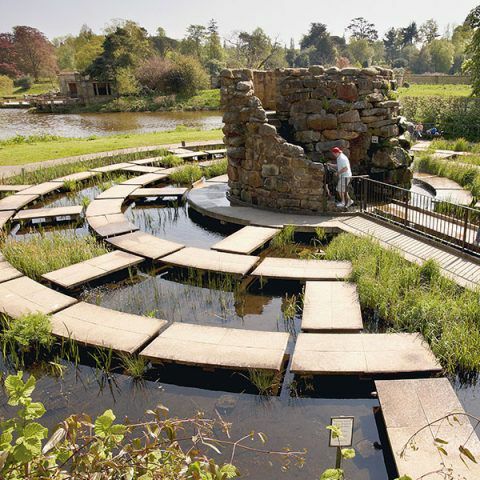 Discover the history of Hever Castle, its owners and inhabitants as you travel through time from its construction in 1270 to the present day. Learn more about the Hever Castle and Gardens coat of arms and the 4 families represented in it who helped to shape the estate we see today.